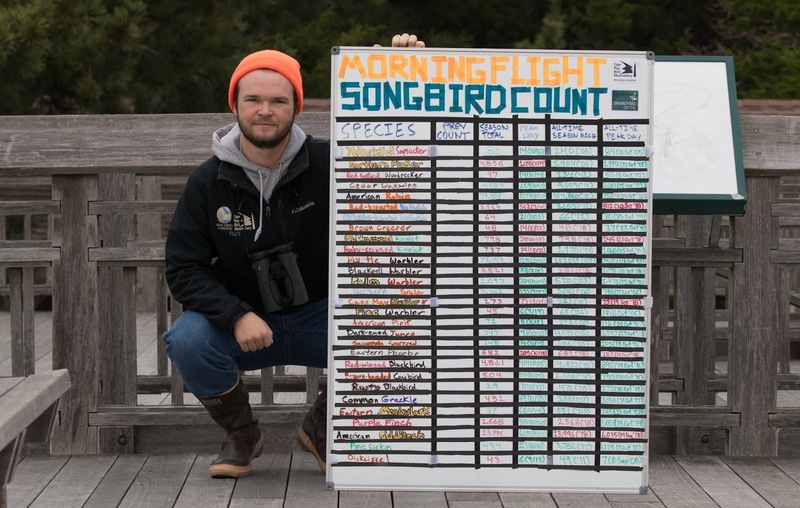 The Morning Flight Count wrapped up a banner season on November 15th! 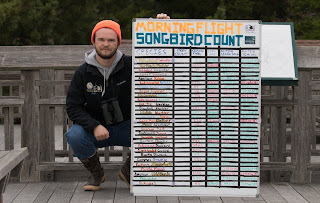 Here's counter Andrew Dreelin displaying the final totals for the season, which featured all-time season high counts for seven species: Blackpoll Warbler, Purple Finch, American Goldfinch, Eastern Phoebe, Golden-crowned Kinglet, Brown Creeper, and Yellow-billed Cuckoo! Numbers in red mean that the total is in the Top 3 counts for either the seasonal total or the peak flight day in the history of the official count, although finches and blackbirds have only been counted in more recent years. To see the season's summary report, please consider becoming a CMBO member and receive your copy of The Peregrine Observer, our annual publication!"